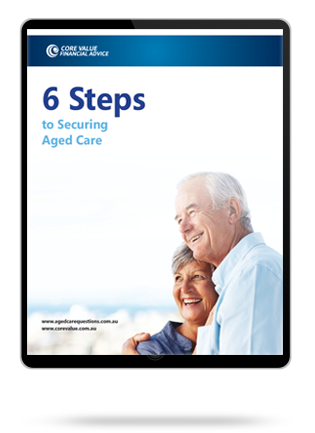 Feeling overwhelmed with aged care decisions for your loved ones? An aged care financial planner can become your ultimate go-to person at a time like this. It’s only natural for families to be worried and confused during this time. While we all want to make the best decision for our loved ones, sometimes we’re simply not equipped to do so and must seek help. An aged care financial planner is the perfect person to go to for help. They will not only take a huge load off your mind but will ensure your family is in experienced hands when making important financial decisions. A financial planner is an expert in all things wealth. A specialised aged care adviser, is even further qualified as they offer highly specialised advice on finance and wealth concerns when the time comes for your family to start thinking about aged care. An adviser should be your starting point as they can assess your situation and guide you with personalised aged care financial planning strategies. These strategies will not help you save money but will also ensure you are receiving all the benefits available to you. While it may seem like it’s cheaper to take the DIY approach, you may end up costing your family thousands of dollars simply because you don’t fully understand the various nitty gritties involved. Whether you need advice on whether or not to sell the home, or advice on how to maximise Centrelink payments and reduce aged care fees – save yourself and your family the hassle, and work with an aged care financial planner instead. They will guide you through the process and advise on everything from costs and fees to existing investments to make sure you and your family are well taken care of. At Core Value, we are specialised aged care financial planners. This means, we know exactly what needs to be done to ensure your loved ones receive the care they need while preserving their wealth as much as possible. We pride ourselves in taking a personalised approach to aged care financial planning strategies, with each of our clients to ensure you and your family receive all the benefits available to you. On average, we improve our client’s finances by $5,000 per year in reduced aged care fees and increased Centrelink payments. But our passion is removing your stress and concerns. Looking for Aged Care Financial Planners in Sydney? Looking for aged care financial planners in Melbourne? Looking for aged care financial planners on the Gold Coast? We have helped over a thousand families with their aged care financial planning concerns and can’t wait to help yours next. Want to learn more? Give us a call on 1300 944 011 to schedule a free consultation with an expert financial adviser for aged care.